Citation examples and resources used by the Canadian Journal of Dietetic Practice and Research. Full guide freely available online from the National Library of Medicine. Chapters can be downloaded individually as PDFs. For additional assistance with citation styles, consult your professor or reference staff at the Mount Library. You can reach the Library by email: library@msvu.ca or by phoning 457-6250. Please note: library staff will help you as much as possible but they may also refer you back to your professor. The Mount Nutrition department frequently uses the International Committee of Medical Journal Editors recommendations (formerly the Vancouver Style, and based on the Uniform Requirements) as it is the style of many nutrition and biomedical journals, and the Canadian Journal of Dietetic Practice and Research. This citation style requires that you cite your references numerically in the text, numbered in parentheses in order of citation. The full references are listed at the end of the paper as endnotes. Instructions for Authors regarding writing and referencing style. Examples of references from various sources. Referencing information and examples on page 7. 6 page PDF guide with wide range of generic and sample references. 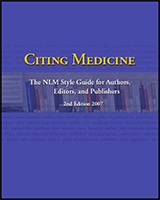 While similar, the AMA (American Medical Association) citation style has slight variations. Check with your professors before using other citation styles like APA. We have other citation help guides. Style of the Canadian Journal of Dietetic Practice & Research (and Uniform Requirements of Biomedical Journals/Vancouver Style, and the International Committee of Medical Journal Editors). Kulai T, Rashid, M. Assessment of nutritional adequacy of packaged gluten-free food products. Can J Diet Pract Res. 2014;75(4):186-90. doi:10.3148/cjdpr-2014-022. The treatment of celiac disease and other gluten-related disorders is a strict life-long adherence to a gluten-free (GF) diet. This includes avoiding all foods containing wheat, rye, and barley [1, 2]. Commercially available oats are contaminated with gluten-containing grains, but pure and uncontaminated oats are safe. The GF diet poses several challenges. Not only is there risk of cross contamination with gluten, there is concern that a GF diet may be deficient in micronutrients such as vitamins and minerals [3, 4]. For example, unlike wheat flour, the flours made from GF grains may not always be fortified with folate and iron. The GF diet may also be high in fat and sugars as these ingredients are used in larger quantities to improve texture and create the binding effects that are missing in baked goods due to the absence of gluten . Consumption of higher calories may result in excessive weight gain and associated health problems. Furthermore, the GF diet may be lower in fibre. Lower intake of fibre has been reported in those on a GF diet compared with controls, despite a similar intake of bread products . This implies that GF breads were relatively deficient in fibre, which is particularly significant as yeast breads and rolls are the largest source of fibre in the American diet . (Similar data for the Canadian diet is unavailable.) Additionally, GF products are reportedly more expensive [8-10]. PLEASE NOTE: This journal is using square brackets  as a preference. If you are using RefWorks and Write-N-Cite the application will insert round brackets (7). 1. Kupper C. Dietary guidelines and implementation for celiac disease. Gastroenterology. 2005;128:S121–S7. PMID: 15825119. doi: 10.1053/j.gastro. 2005.02.024. 2. Zarkadas M, Case S. Celiac disease and the gluten-free diet. Topics Clin Nutr. 2005;20(2):127–38. doi: 10.1097/00008486-200504000-00006. 3. Thompson T. Thiamin, riboflavin, and niacin contents of the gluten-free diet: is there cause for concern? J Am Diet Assoc. 1999;99(7):858–62. PMID: 10405688. doi: 10.1016/S0002-8223(99)00205-9. 4. Thompson T. Folate, iron, and dietary fiber contents of the gluten-free diet. J Am Diet Assoc. 2000;100(11):1389–96. PMID: 11103663. doi: 10.1016/S0002-8223(00)00386-2. 5. Gallagher E, Gormley TR, Arendt EK. Recent advances in the formulation of gluten-free cereal-based products. Trends Food Sci Technol. 2004;15(3–4):143–52. doi: 10.1016/j.tifs.2003.09.012. 6. Grehn S, Fridell K, Lilliecreutz M, Hallert C. Dietary habits of Swedish adult coeliac patients treated by a gluten-free diet for 10 years. Scand J Nutr. 2001;45:178–82. 7. O’Neil CE, Keast DR, Fulgoni III VL, Nicklas TA. Food sources of energy and nutrients among adults in the US: NHANES 2003–2006. Nutrients. 2012;4(12):2097–120. PMID: 23363999. doi: 10.3390/nu4122097. 8. Stevens L, Rashid M. Gluten-free and regular foods: a cost comparison. Can J Diet Pract Res. 2008;69(3):147–50. PMID: 18783640. doi: 10.3148/ 69.3.2008.147. Excerpt 2: …Although these data were published after the publication of the following statement of the American Diabetes Association (ADA) (2005): “…use of GI can provide additional benefit over that observed when total carbohydrate is considered alone”, American health agencies traditionally were in opposition to GI utility (21,37,38). This traditional position most likely affected the sample’s (American RDs’) perception of GI application. Conversely, Frost et al. (1994) showed that people can successfully and significantly lower diet-GI after verbal and written communication (26). Similar success has been noted by others (28,39). 1. Jenkins DJA, Wolever TMS, Taylor RH. Glycemic index of foods: A physiological basis for carbohydrate exchange. Am J Clin Nutr 1981;34(3):362-366. 2. Wolever TMS, Jenkins DJA, Jenkins AL, Josse RG. The glycemic index: Methodology and clinical implications. Am J Clin Nutr 1991;54(5):846-854. 3. Canadian Diabetes Association (CDA). The glycemic index tool. Available online: http://archive.diabetes.ca/files/GlycemicIndex_08.pdf (accessed 14 April 2015). 4. Wolever TMS. The glycaemic index: A physiological classification of dietary carbohydrate. Cambridge, MA: CABI; 2006. 5. Wolever TMS. Physiological mechanisms and observed health impacts related to the glycaemic index: Some observations. Int J Obes 2006;30 (Suppl 3):S72–S78. 21. Franz MJ. In defense of the American Diabetes Associations recommendations on the glycemic index. Nutr Today 1999;34(2):78–81. 26. Frost G, Wilding J, Beecham J. Dietary advice based on the glycaemic index improves dietary profile and metabolic control in Type 2 diabetic patients. Diabet Med 1994;11(4):397–401. 28. Brand-Miller J, Hayne S, Petocz P, Colagiuri S. Low-glycemic index diets in the management of miabetes: A meta-analysis of randomized controlled trials. Diabetes Care 2003;26(8):2261–2267. 37. American Diabetes Association. American Diabetes Association: Clinical practice recommendations 2005. Introduction. Diabetes Care 2005;28 (Suppl 1):S1–S2. 38. Franz MJ, Bantle J, Beebe CA, Brunzell JD, Chiasson J, Garg A, Holzmeister LA, Hoogwerf B, Mayer-Davis E, Mooradian A, Purnell JQ, Wheeler M. American Diabetes Association position statement: Evidence-based nutrition principles and recommendations for the treatment and prevention of diabetes and related complications. J Am Diet Assoc 2002;102(1):109–118. 39. Gilbertson HR, Thorburn AW, Brand-Miller JC, Chondros P, Werther GA. Effect of low‑glycemic-index dietary advice on dietary quality and food choice in children with type 1 diabetes. Am J Clin Nutr 2003;77(1):83–90. While similar to the International Committee of Medical Journal Editors recommendations (Vancouver Style/Uniform Requirements), the AMA citation style has slight variations. This article is published in the Journal of the American Medical Association and is available for free. Please take note of the in-text citations and Reference at the end of the article. RefWorks permits you to create a personal database and to manage all your research. RefWorks allows you to import references from MSVU online article databases, and to enter the selected records into your RefWorks database. When writing papers, you are able to choose from the various citation styles, and RefWorks will automatically format a bibliography based on the references in your database. Mount Library guide to RefWorks. Find journal abbreviations from full titles and full titles from abbreviations. This guide is licensed under a Creative Commons Attribution-Noncommercial License. You may copy the guide for noncommercial purposes as long as credit is included. Please be aware that the guide may contain links to subscription based services for which access is restricted. We encourage you to license your derivative works under Creative Commons as well to encourage sharing and reuse of educational materials.